Jesus list three steps to become “good soil”: 1. Hear God’s Word, 2. Retain God’s Word, and 3. Persevere in God’s Word. who hear the word, retain it, and by persevering produce a crop. This past week has been a week of preparation. I have tried to describe, biblically, what our hearts need to look like in order to hear from God. The keyslast three days have described hearts that are not ready to hear from God. Impacted hearts, rootless hearts, and over-taxed hearts will all struggle to hear God speaking to them. Today’s scripture describes the “soil” that is perfect to receive the seed. Jesus simply calls it “good soil”—hearts prepared to hear! It is obvious that not everyone who has the privilege to receive the seed of God’s Word will be prepared properly, but it is possible to be prepared! Everyone can hear from God; no one needs to be excluded! We may choose not to invest the proper effort that it takes to hear from God, but that is a choice each of us will need to make! In this parable Jesus described the good soil. First, our hearts need to truly hear by intentional focus. Good soil means a person with complete sincerity seeks to open their heart to hear God speak. Jesus goes on to list three steps to become “good soil”: 1. Hear God’s Word, 2. Retain God’s Word, 3. Persevere in God’s Word. Another way to put these three steps would be to: 1. Read the Bible with eager anticipation to learn, 2. Memorize scripture to make sure we retain it, 3. Never get discouraged in the application of God’s Word in our lives. Father, I know you often speak to us through the scriptures. 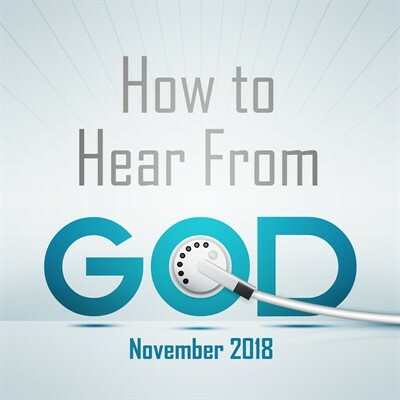 Help me to have “ears to hear.” In Jesus’ Name, amen.